It’s not surprising that we beat Cincinnati in the public transit category this week. Cincinnati is smaller than Philly, more culturally southern, and younger. All of that would suggest that Cincinnati has invested less than Philly in public transit. But public transportation in Cincinnati has long been a hot topic. For years, headlines have documented the soap opera-like narrative of the development of a downtown streetcar system that, after many fits and starts, debuted earlier this year. In that sense, one takeaway for other cities just might be that the longer major proposals like Cincinnati’s streetcar system live to fight another day, the more they ultimately gather a sense of inevitability—to the point that even those elected officials leading the opposition end up having to go along, for fear of throwing good money away after bad. Fifteen years ago, in the aftermath of 2001’s race riots following a pattern of shootings of young African-American men by the police, the city of Cincinnati entered into a groundbreaking, legally-binding agreement between citizens, police and the officers’ union to limit the use of force, increase transparency and prevent racial profiling. Some 3,500 citizens, representing multiple stakeholder groups, took part in hammering out the agreement. To this day, the Cincinnati Collaborative Agreement is considered a blueprint for police reform, and has been used to inform how communities like Ferguson, Missouri, begin to tackle healing after similar tragedies. The agreement resulted from a settlement after the ACLU joined with the Cincinnati Black United Front in a suit that alleged racial profiling and discriminatory practices on the part of Cincinnati police. It engaged both police and everyday citizens and came up with a community-oriented policing strategy with benchmarks designed to improve the training and education of police officers. Its oversight provisions set in place independent annual reviews, to make sure all parties lived up to their commitments. Maybe the most groundbreaking part of the agreement contains an idea Philadelphia would be wise to borrow from. A cornerstone of the collaborative was the Citizen’s Complaint Authority, an independent agency tasked with investigating citizen complaints against the police, looking for patterns of misconduct, and recommending policy changes. It was given real teeth, a budget of more than $1 million, and five full-time investigators. Fifteen years in, the data shows that Cincinnati was transformed by the agreement’s reforms. There has been a 69 percent reduction in police use-of-force incidents, a 42 percent reduction in citizen complaints and a 56 percent reduction in citizen injuries during encounters with police, according to a report by Robin S. Engel and M. Murat Ozer of the Institute of Crime Science at the University of Cincinnati. Violent crimes dropped from a high of 4,137 in the year after the riots, to 2,352 in 2014. 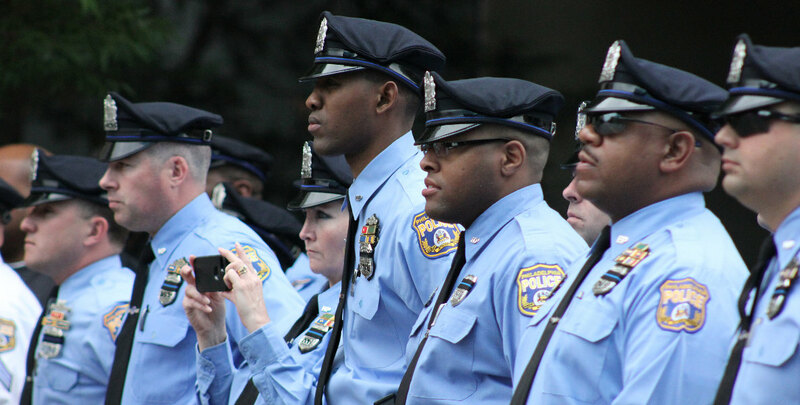 Under former Commissioner Charles Ramsey and current Commissioner Richard Ross, Philadelphia has made great strides in relations between the community and police. But to keep improving those relations, we should look at what worked in Cincinnati.